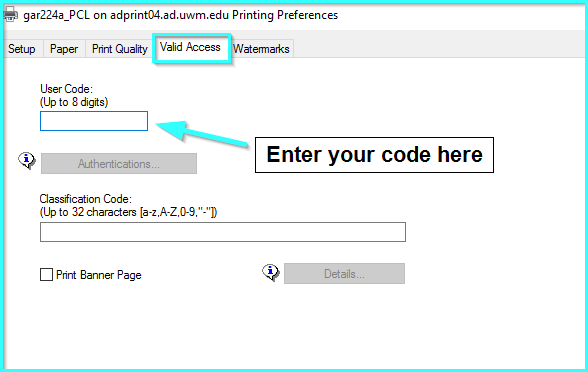 Adding print/user codes to Ricoh multi-function devices within Windows. Applies to all printers with PCL5e drivers. Open the Devices and Printers control panel. For Windows 8.1 and Windows 10: Press the Windows Key (or click the search bar) to start a search. Enter "Devices and Printers". Select the Devices and Printers control panel.